In South Africa, we are trying to strengthen and unite the agricultural sector, improve all land use and develop new farmers. It is really challenging because there are a large number of role-players that need to come to the party, if we are to succeed. We have found the farmers to be very willing and eager – all farmers on all forms of land tenure and all sizes of arable land. Farmers need inputs, or preferably the money to buy the correct inputs at the correct time. This is proving to be a huge challenge. In the commercial sector, the farmers have title to their land and this is an asset. They can give the financial institution a bond on the property and then they can borrow money against this asset. This money is used to buy the inputs. 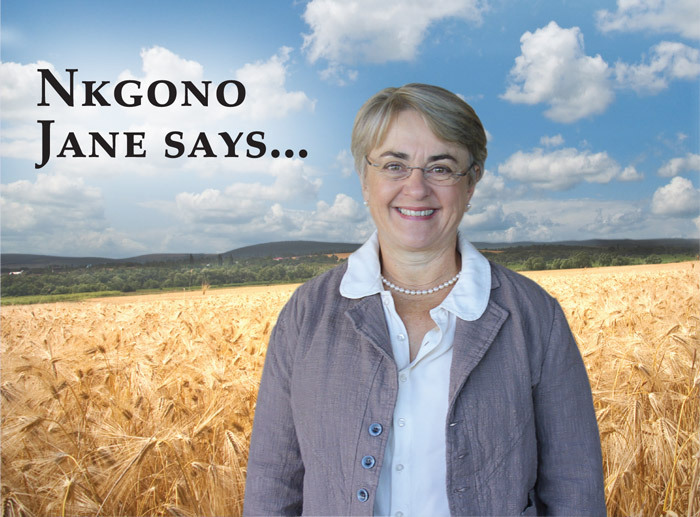 Yes – if things go wrong, the bank will see the farm to recover the money owed to them. Many of our black farmers do not have a title deed to their farm – they could have received the farm through the PLAS scheme of the Department of Land Affairs, or they could be farming on communal land. In both cases, they do not have title to the land and so they cannot borrow against it. Unless they have some other source of income, there is not money to buy inputs and so the land is not used optimally. Due to these constraints, the farmers use seed that they have kept (or managed to buy cheaply) and possibly no fertiliser or chemicals for weed control. With these practices, they will not get a good yield and the farming will not make profits. In the cases mentioned above, the farmers turn to government for help. It is difficult for government to do this – they often buy the wrong inputs (because these are really farm and crop specific), and due to their lengthy and complicated procurement systems, the inputs are usually too late. Late inputs result in late planting and this translates into poor yields. If we are going to address these challenges, all parties will have to come up with new ways of financing production – the existing systems are simply not adequate and we are going to fail to develop new farmers.